A refreshing but classic mix of all the best Motown, Soul, Funk and Rock ‘n’ Roll Anthems to keep your feet stomping into the early hours! 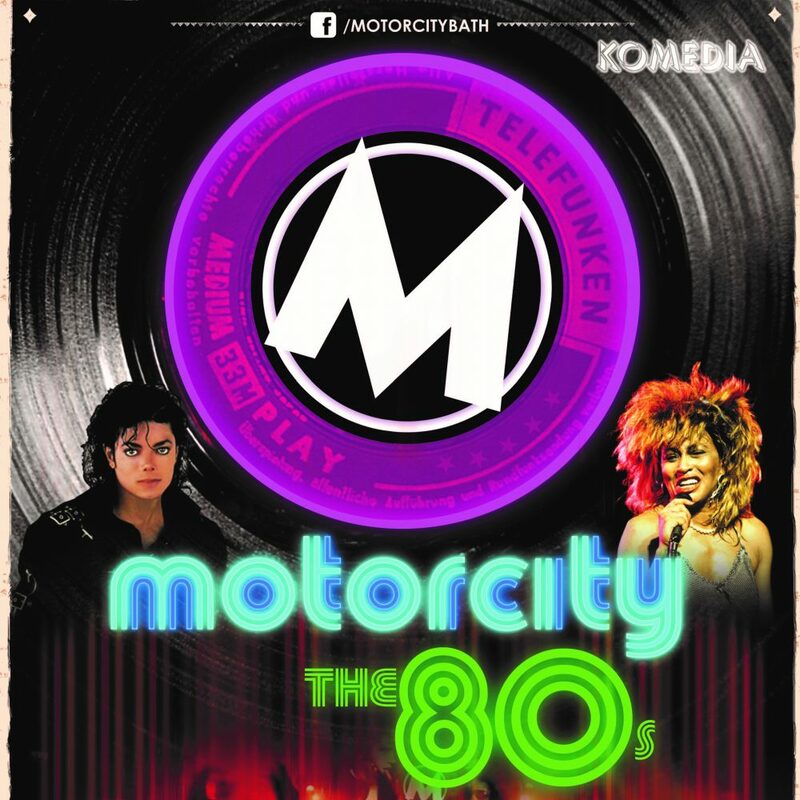 Motorcity runs straight on from Award-winning Krater Comedy Club. Komedia is Bath’s leading live entertainment venue. Hosting over 400 events per year in the beautifully restored Grade II listed former Beau Nash cinema, Komedia Bath offers an unparalleled programme of comedy, music, cabaret and club nights. Komedia Bath, the destination in the region for touring comedy and music, hosts a raft of regular shows which include our doubleheader Saturday night. Kick-off your weekend with some proper good laughs and discover the best in live comedy, featuring three top stand-ups and one of the best comperes in the business! Get the most from your Saturday night out and stay for FREE (and jump the queue) for club Motorcity straight after the comedy show! Pre-show dining is also available at the venue, with advanced booking highly recommended.